Doctors at unnamed hospitals in some parts of the country choose to converse predominantly in Mandarin, one physician has alleged. The New Sunday Times reported the doctor as demanding the practice be stopped, claiming it jeopardised patient safety and hampered housemen’s learning. Speaking under the name Dr Johan Suksmajaya, he claimed the matter was a regular topic of jokes among housemen and medical officers at these hospitals. “It was something we joked about. But when we experienced it, it was no longer a laughing matter,” he said. It is understood that ward rounds are meant for every doctor to share updates on a patient’s progress, participate in an active learning process and discuss complex clinical issues with each other seamlessly. Instead the habit of speaking solely in Mandarin hindered the learning process of those who cannot understand the language, Dr Johan added. Dr Johan described these “inconsiderate doctors” as almost never translating their discussions with patients for others to listen and understand. “Sometimes, they go on and on, and only in the end narrate the conclusion of the discussion, denying housemen and medical officers the chance to understand how clinical decisions were made,” he said, adding that he has been criticised online for deliberately creating racial tensions, despite being Chinese himself. Dr Johan also said many doctors often ask the Mandarin speakers to use English or Bahasa Melayu, but were often ignored. “Those who do not understand the language are left out of the loop, and based on the responses received, this was done intentionally,” he said. 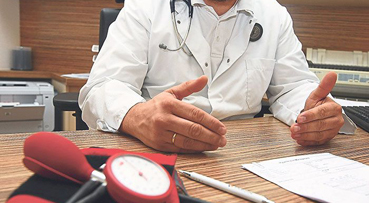 Dr Johan cited one instance in Penang where an orthopaedic medical officer was unable to learn how to set up a central venous line because his senior refused to teach him in English as there were other Mandarin-speaking medical officers present. Nurse and pharmacists are also affected by the problem, as Dr Johan said patient management can become confusing as it may be unclear why a certain course of action was taken or carried out.